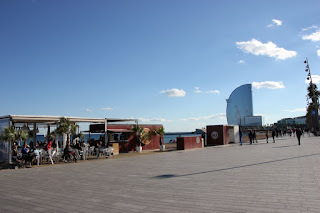 Just when you thought Barcelona couldn't get any better, you find yourself in one of the many beach bars (chiringuitos) that spread themselves thinly but firmly along the beach, starting at Barceloneta. 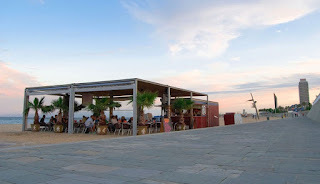 This particular one is one of my favourites in the area, but having said that they all pretty much offer the same thing - drinks, beach views and slow service. Prices can vary from average to a little overpriced so although this is a good place for a couple of beers in ths sun, you won't necessarily find yourself implanted for the whole night. Depending on the time of day you might be treated to some upbeat, funky/dance tunes, but really this bar (and the others too) are places to unwind in the sun. Views of the beach and sea are wonderfully relaxing and will wash away all of the stresses of a hard day's snaking yourself around the city's hectic streets. There's not much else I can really say about this, except despite my comments about prices and slow service, it's all well worth it if you want to let your worries and stresses blow away into the wind! Update 2018 - Well of course "Los chiringuitos" are still here along the Barcelona beach fronts. And the slow service is still in place. But, hey, you're at the beach so chill out! 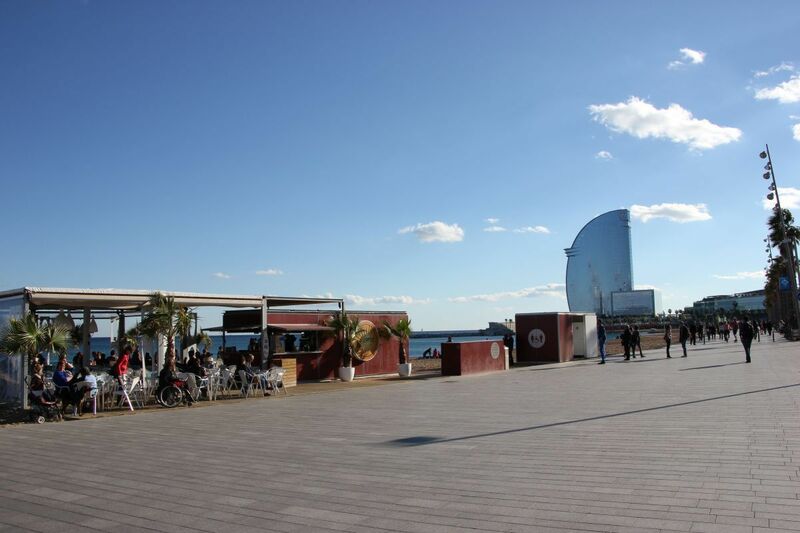 What could be better than relaxing in the sunshine with a beer at a beach bar in Barcelona? The service can be slow the prices a bit steep at these beach bar, but it´s still totally worth it. Shame the service at these places is so uniformly awful. Nevertheless, you can't beat drinking at a beach bar!